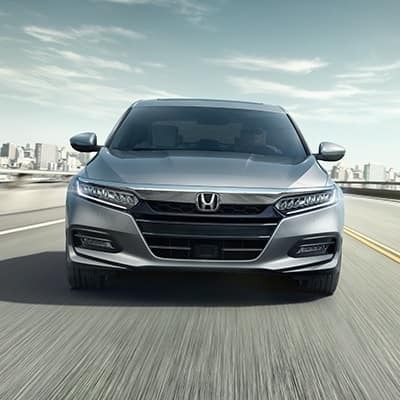 When you choose the Accord for your next sedan here in the Long Beach, Cerritos, and Newport Beach areas, you have more than just one vehicle to choose from. With this model, there are five excellent trim levels, all offering different features and amenities. The 2018 Honda Accord LX and EX are two of the more popular trim levels. So, how do you know which is right for you? 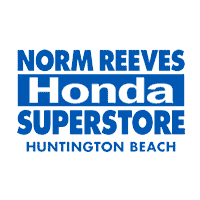 Reading this comparison by the Norm Reeves Honda Huntington Beach team can help. There’s no doubt that the 2018 Honda Accord LX and EX have an awful lot in common. However, as the more advanced trim level, the EX just seems to offer a bit more. This is especially true when you look at the included interior amenities. Entertainment technology plays a big role in all the Honda Accord trims. In the base trim, the LX, you start off with some great features such as the 7-inch touchscreen, four speakers, and Pandora® compatibility. However, the Accord EX just seems to go a bit bigger. At this level, your touchscreen and audio are upgraded to eight inches and eight speakers respectively, and you also add in hands-free texting in addition to Bluetooth®. As for music, the EX also builds on Pandora®. In this trim, you’ll have even more options with SiriusXM® and HD Radio™. Between these two trim levels, the powertrain actually doesn’t change too much. Both the LX and the EX feature a 1.5L inline 4-cylinder engine enhanced with turbocharging. This last addition allows them both to produce 192 HP and 192 lb-ft of torque. However, the Honda Accord EX does add in one neat feature. Remote engine start is standard in this trim, so you can fire up your car long before you get in. One major advantage you’ll have in both these trims is Honda Sensing®. This predictive safety suite, which utilizes sensors and cameras to monitor and react to the road for you, is a standard feature in both the LX and EX. Likewise, both these cars come with helpful automatic high-beam headlights. With this feature, the Accord can turn your high-beams on and off for you when other cars approach. The Honda Accord EX does add in an extra feature with the Blind Spot Information System with Cross Traffic Monitor (BLIS), however. BLIS will make sure you’re always aware of whos following in your blind spot. The 2018 Honda Accord LX and EX may be two of its most popular trim levels. However, this car has three other trims to offer. Long Beach, Cerritos, and Newport Beach drivers can learn about all of them by contacting Norm Reeves Honda Huntington Beach. Get in touch today for more information!